Looking for science fiction books? Biblio.co.nz hosts hundreds of of the finest online book stores and booksellers, including specialists in science fiction. Use the list below to locate a specific specialist bookseller or book store near you. Or, use the form below to search the inventory of all booksellers who specialize in science fiction. 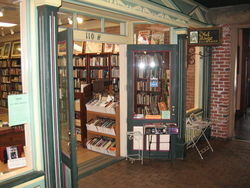 Bayside Books of Maryland is an online-only store, and has been operating since 2001. I believe in accurately identifying both edition and condition. I am a book collector myself, and understand the importance of complete and honest descriptions. Beatnik Books specializes in Classic Literature, Art, Philosophy, Gender Studies and Science Fiction. We sell most of our books for less than $4. We are an on-line bookstore. At Bronze Anthology LLC, we specialize in Booksets, as well as vintage and specialty books to include 20th Century and Science Fiction. Feel free to check back often as we have new arrivals each and every week. 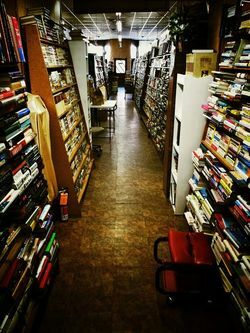 We've provided used and out-of-print books to western Ohio readers and collectors since 1980 through our retail store. We have been an active online bookseller since 1997, when we were among the first generation of Bibliofind and ABE vendors. We work hard to offer a variety of interesting books, priced competitively, graded and described honestly, delivered promptly and pleasantly. 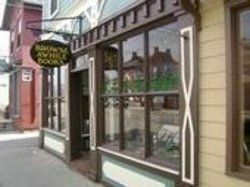 Our 2,000+ square feet shop is located in the heart of the Old Tipp City Historic District, among more than 50 antique and arts shops. We're open 11AM-5PM Tuesday through Friday and 11AM-4PM Saturday. We're a two-minute drive from I-75, about 15 minutes north of Dayton, Ohio. Our current inventory consists of approximately 200,000 books, about 1/3 of which are in the online inventory. A word about descriptions...we attempt to grade and describe books as accurately as possible, so that you will know exactly what you are buying. We want our customers to order with confidence and to reorder with pleasure - if you receive anything other than what you expect, we prefer that it is because we've exceeded your expectations. 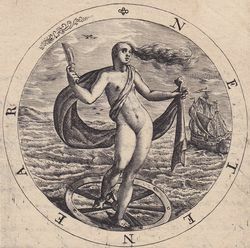 Many of our books are described as being within Brodart covers or protective sleeves. These are the sort of clear covers that you find on library books, though (of course!) we do not affix them to the book in any way. Virtually all dust-jacketed books are within Brodart covers, whether so described or not. We are a general bookstore with a variety of books in our inventory. 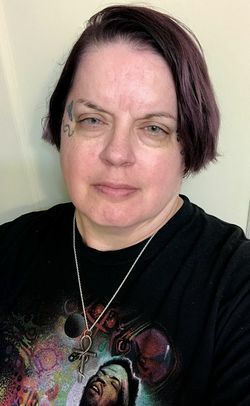 I am a home based business with 26 years of experience, 10 as a children's librarian, 6 with a major retail firm, 10 with a local used book store. There are over 60,000 books on the main floor for display with many others listed on net. All genre (science fiction, mystery, fiction, contemporary romance, historical romance, non-fiction, history, etc.) includes paperbacks and hardbacks. My speciality is putting together sets in all genre. If you don't see the book listed in my online inventory, send an e-mail as I just may have a copy on the floor. 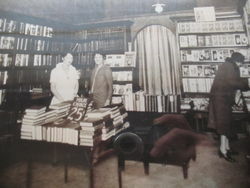 I opened the store in Dec. 1976. with only 1500 books and have grown through the years until the present location in 1983. Come check us out on facebook. Seller of used books. Specialties: chess books, bridge books, and history books. We sell used books for the most part, although you'll see some remaindered and an occasional new one. We're liable to have anything. Internet only at this time. 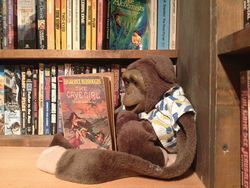 Specializing in classics, vintage paperbacks and science fiction, popular and obscure. 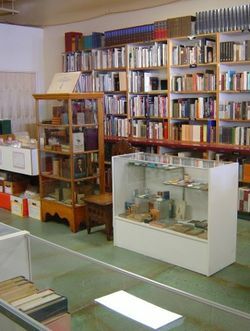 Based in the Athens of America, Boston, LZR offers some of usual and some unusual books and other printed matter in fiction and nonfiction. We have a variety of interests and list titles in categories such as Alternate History, Sherlock Holmes, etc. Drop us a line if you are seeking anything and we'll check our listed and unlisted inventory. 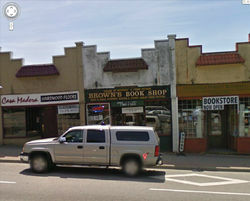 Logan Lake Video and Books is the brick and mortar part of logonbooks.com. We have approx. 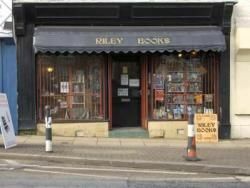 4000 books and 2000 movies in store with about 7000 items now listed. 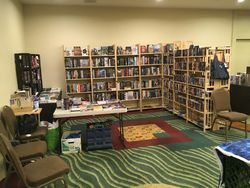 To learn more about our stores visit us logonbooks.com. Internet retailer of books and related merchandise. Mystery Cove Bookshop overlooking the ocean in lovely Hulls Cove Maine, just three miles from downtown Bar Harbor and on the edge of Acadia National Park. 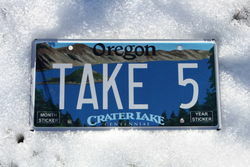 Open year round, Tuesday through Saturday 11am to 5pm. We have books in all subjects including books of local interest, children's literature, history & biography, science fiction & fantasy, plus a strong collection of crime, mystery and detective fiction. New & gently used books, specializing in children's and science fiction. Good selection of general fiction, nonfiction, cooking, art, biography & autobiography, mystery, and religion. 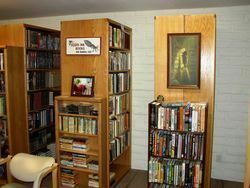 mostly older books but also art and architecture, modern first editions, science fiction and mystery, and vintage paperbacks. The photos that you see of the book described are of the actual book you get. No stock photos here. I am conservative and specific as possible in describing book condition. Completionists encouraged...Tangible Text appreciates those who insist on real books. Tangible Text: The physical book...in your hands. 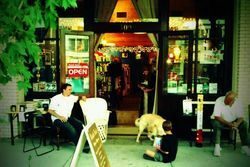 Welcome to Vintage Books, an independent family owned bookstore and mail order business. 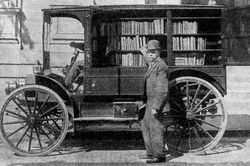 We have been serving book-lovers and auto enthusiasts for 35 years. We've always put our priority where our hearts are: the best book selection we can offer and the most knowledgeable, dedicated staff. 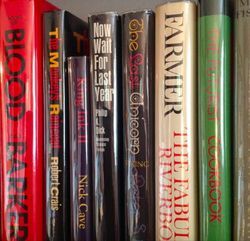 Our staff are all passionate readers-- the diversity of our preferences can be seen on our "staff choices" shelves. We work hard to make your book buying experience easy, and treat your books with the care we would treat our own. If you were to visit our physical store, you will find us to be pretty low key. Plain pine bookcases, old rugs, old chairs and a small couch in the children's area. Blank vertical surfaces are covered with old ads, sayings, booklists and displayed books. 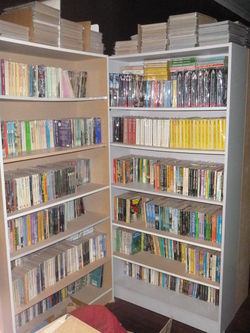 We are unable to list our extensive selection of used paperbacks, some of the automotive items and hardbacks on-line, because our inventory changes daily.